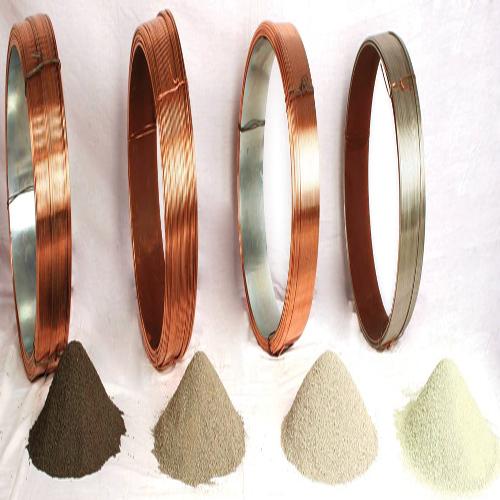 Super Alloys & Metals, which manufactures continuous welding consumables, has introduced fully basic fluxes for submerged arc welding (SAW). The Supershield C Series of fully basic fluxes have basicity of around 3. There are 4 fluxes in the current range of fully basic fluxes, viz., Supershield C1, Supershield C4, Supershield C7, and Supershield C8 flux. The fully basic fluxes are neutral in behaviour, yield weld metal with sulphur level lower than 0.005 % and enable superior control on other impurities like O, N, P, Sn, Sb and As. This is the first time that indigenously produced submerged arc fluxes have reached the performance levels of international standard as regards control on sulphur and other impurities. The extremely low level of sulphur in combination with low levels of oxygen, nitrogen and phosphorous helps to obtain welds with excellent impact toughness from -46°C to -62°C, in combination with indigenously manufactured carbon manganese steel electrodes conforming to AWS class EM12K, EH10K and EH14.